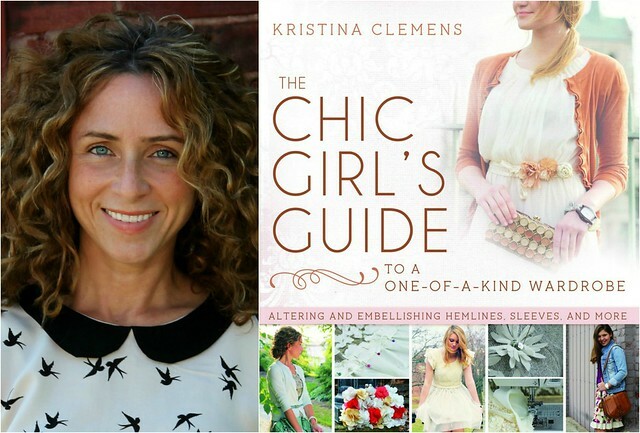 Elaine Hearn, fashion blogger at Clothed Much, interviewed Kristina Clemens, author of a new DIY style book. 1. Tell us about your new book, The Chic Girl’s Guide to a One-of-a-Kind Wardrobe. It’s a DIY style book with step-by-step instructions on taking uninspired clothing and turning them into beautiful wearable garments that fit your body and lifestyle. 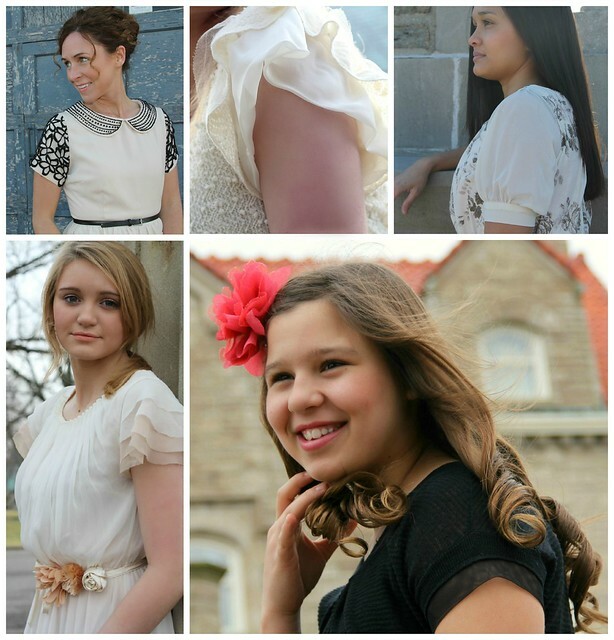 The Chic Girl’s Guide is workbook of tutorials, tips and guidelines on how to customize and embellish, but at its core, it’s a book of ideas meant to inspire young and old alike—to shine a light on the possibilities of revamping store-bought clothes into garments that can be as quirky and classy and girly as you want them to be. 2. Which comes first, faith or fashion? For me, faith determines my fashion. I’m always approaching clothing–DIY as well as personal style—from the framework of my faith. I feel I’m responsible to dress by a standard that is higher than what is culturally or socially acceptable. If a garment can’t be made to work within the framework of how I want to present myself in public then I don’t even consider it. 3. How has your faith played into writing the book? It’s hard to completely separate personal style from your DIY projects because generally the reason women refashion clothes is to create something specifically tailored to their personal preferences. Yet for the projects to reflect only my personal style would have made the book very “one-note”, so I felt while I was creating garments from my point-of-view it was important to feature projects that appeal to readers of varied personal styles while being true to my platform. 4. Where did you get your ideas for the book projects? Since the time frame was so rushed, I was pulling from past ideas I’d had jotted down for clothes from my own wardrobe. The ideas for The Chic Girl’s Guide were meant to inspire readers on how to adjust hemlines, play with sleeve additions and add height to necklines in novel ways. The projects in the book were designed to help readers create garments that have a flattering fit, feminine detailing, and are utterly unique—designer duds at Target prices, as I like to say. I wanted the book projects to prove you can beautify with out looking gimmicky. 5. What was the hardest part about writing The Chic Girl’s Guide? styling the photo shoots for the final project photos in the middle of winter, which really rushed the creative process. It was a quick write. The Chic Girl’s Guide will be released August 13 and is currently available for pre-order at a discounted price on Amazon.